San Diego, CA – While the University of San Diego celebrated their commencement, we commenced lab work on the Black Mountain Project. We began by drying and sieving the soil samples that we collected earlier in the week. 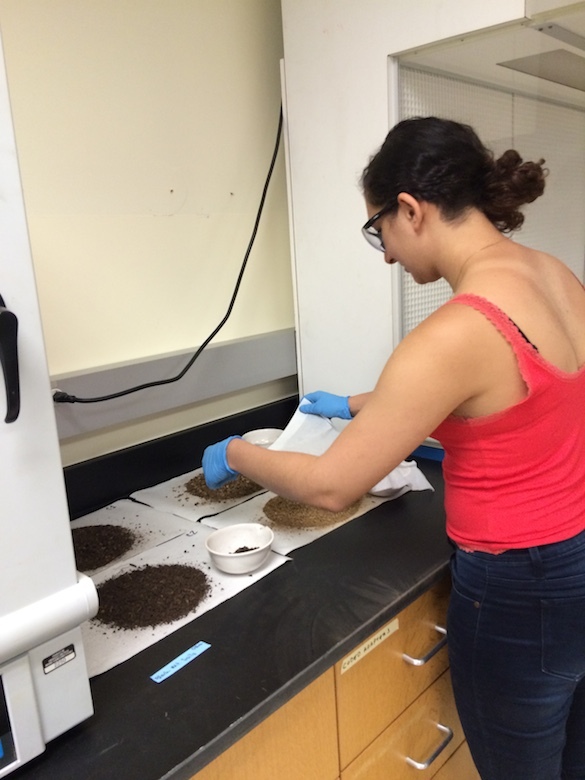 Amineh AlBashaireh (’18) is removing her soil samples from the drying oven. 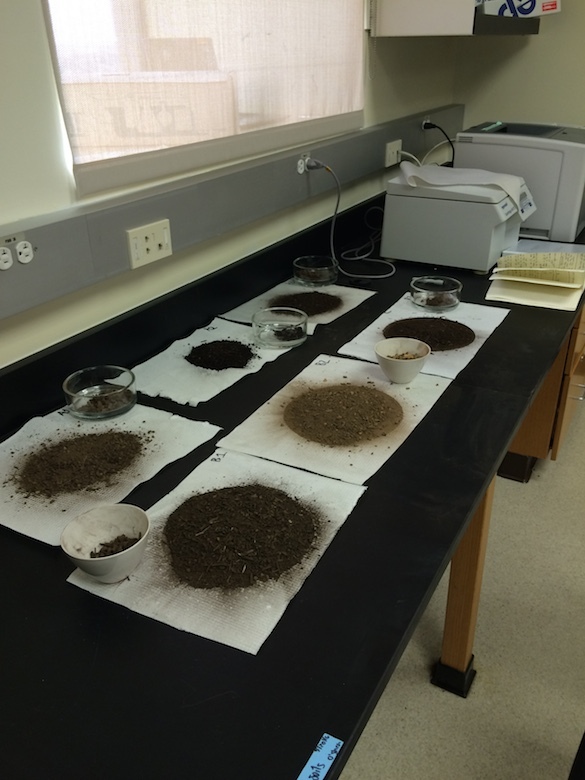 Her soil samples display variety of colors and compositions. 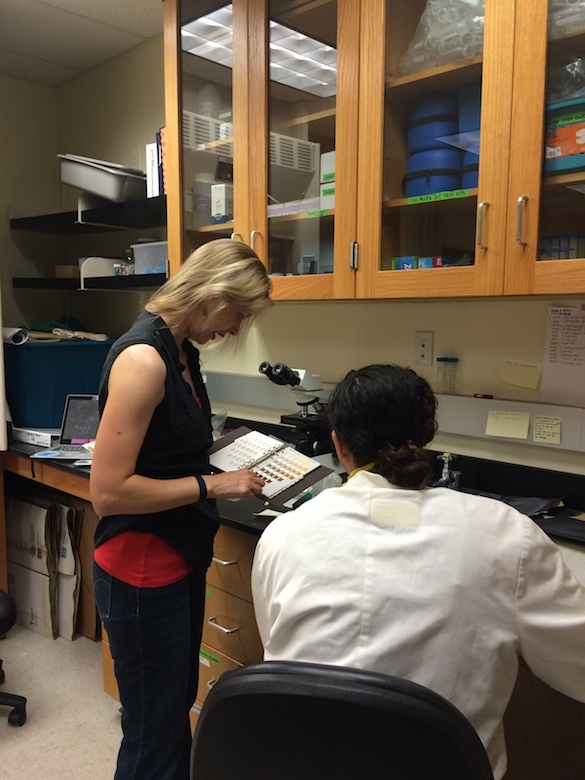 Dr. Beth O’Shea (USD) and Amineh discuss the Munsell System for classifying the color of soil. 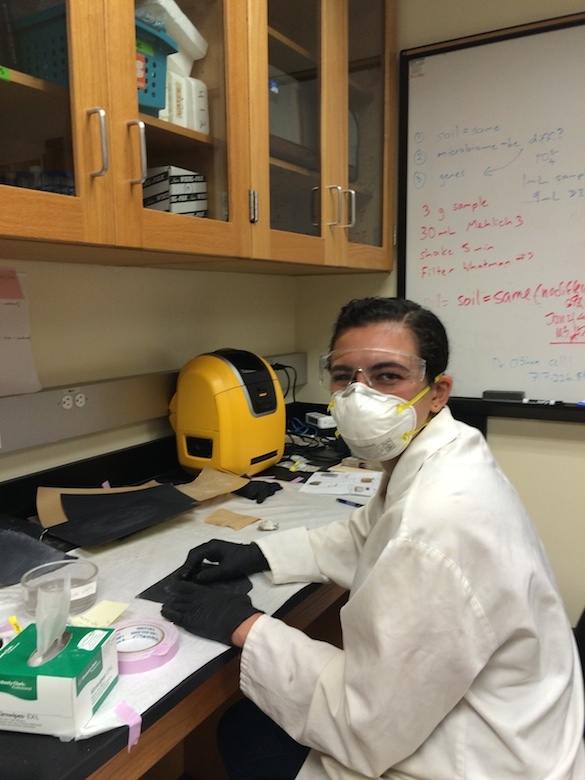 While her samples dry, Amineh is helping prepare samples for analysis on the scanning electron microscope (SEM-EDS). Doesn’t she look like a happy geochemist?